November 2014 – Girl Who Would be KING on Life, Style and INSPIRATION. While exhibits at the Met, MoMA or the Whitney might get most of the media attention — and tourists’ admission fees — there’s a slew of under-the-radar (and underrated) institutions scattered throughout New York City worth a visit. From a *very* impressive collection of trolls to a museum dedicated to animals from the torah, we round up ten hidden gems that should be on your shortlist the next time you want a dose of off-beat culture. This one’s not much of a secret at this point, but Mmuseumm, located in a freight elevator in Tribecca, is home to some of the most interesting artifacts of the modern age. In an insanely small gallery space, allowing only three visitors at a time, the curators somehow manage to display an even tinier collection of cultural oddities. Mmuseumm’s Season 3 exhibit includes the shoe thrown at George W. Bush in 2008, Saddam Hussein watches, plastic spoons, and fake ID cards. Maybe it’s just the lack of oxygen in those cramped quarters, but after awhile, this assemblage of seemingly random objects seems to be telling a much bigger story. Mmuseumm is located at Cortlandt Alley, between Franklin St & White St, New York City, NY. Suggested donation. Open Saturday and Sunday, 12-6 pm. Torah Animal World might easily be one of the most unique places on earth. The Borough Park row house that has served as the museum’s flagship location since 2008 began as a means for visitors (largely Hasidic Jewish families, visiting Christian and Amish bible groups, and curious hipsters) to get up close and personal with those animals prominently featured in the Old Testament. Spread across the museum’s three locations are a multitude of beasts, frozen in time for all eternity, and valued at roughly 1.5 million dollars. The menagerie includes taxidermied camels, giraffes, bears, and much more, each with a plaque explaining its biblical significance. The pig, however, remains conspicuously absent.Torah Animal World is located at 1605 41st St., Brooklyn, NY. Admission is $10 per person, per exhibit. Open daily Sunday-Thursday from 9:00 am to 9:00 pm by appointment only. Though technically illegal, The Trash Museum of New York is, hilariously, situated in the heart of the UES. Providing a similar appeal to that of Mmuseumm, the Sanitation Department’s collection of random junk provides a rare, voyeuristic glimpse into the lives of others. Inside the second floor of the garbage truck garage, you’ll find an unbelievable assortment of neatly organized detritus accumulated by sanitation workers over the past 33 years. Good luck if you want to get into this one though — admission is only granted to those authorized by the NYSD themselves. Oh, too bad! The Trash Museum is located on the second floor of the 99th Street Sanitation Department Garage, between 1st and 2nd Ave.Not open to the public. Located in a former blacksmith’s forge in the basement of a Gramercy building on 26th Street is NYC’s only holography gallery and laser laboratory. Started in the sixties by Jason Sapan, Holographic Studios Inc. is home to the world’s largest collection of motion image holograms. Sapan has also been commissioned to digitize more than a few celebrities. Bummed you could never get a real life selfie with Andy Warhol? Sapan’s got the next best thing. A place for those who never quite got over the end of The Sopranos (like me), this two-room gangster memorial is located in the East Village above a former speakeasy. Though St. Mark’s might not seem like the most logical of locations, that neighborhood was once a hotspot for wise guys like Al Capone, Lucky Luciano, and John Gotti. The Museum of the American Gangster boasts an impressive collection of mobster memorabilia, including bullets from the Saint Valentine’s Day massacre and John Dillinger’s death mask. If you ask nicely enough, they might even take you down into the basement’s escape tunnels and show you the safe still hidden there. The Museum of the American Gangster is located at 78 St Marks Pl, New York, NY. Tell me, have you been to any of these? thing of beauty? Me neither! They come in many guises, many sizes, many colors, many scents and usually never fails to bring a smile to a face. You can have one or you can have a whole arrangement with a theme. The downside – so we don’t need a lavish bouquet. There is growing (no pun intended) concern that cut flowers are bad for the environment (like so many other things). “Fair Trade-” and “Organic-” branded bouquets are increasingly available at mega- retailers and florists in the U.S., including Sam’s Club, FTD, natural food stores and Web sites like Flowerbud.com, Organicbouquet,TransFair, and 1-800-flowers. Boil 1-2 cups water, then simmer with one teaspoon turmeric, one teaspoon cinnamon and a pinch of nutmeg for 10 minutes. Strain. Sweeten with raw honey and add a dollop of almond or coconut milk to taste. Include a pinch of cloves or a teaspoon of fresh ground ginger to the water. Did you know that just one teaspoon of ground cinnamon contains the same amount of cancer-fighting antioxidants as a half cup of blueberries? A study published in BMC Cancer found that cinnamon extract may actually help prevent tumour cell growth. Cinnamaldehyde, the compound that gives the spice its colour and flavour, is also the key ingredient in fighting a host of other illnesses. A 2013 study from the University of California, Santa Barbara found it may even help ward off Alzheimer’s by preventing the development of “tangles” in brain cells. Meanwhile, researchers from the University of Hannover found that cinnamon also helps control blood sugar in patients with Type 2 diabetes. Study participants who took cinnamon extract three times a day (the equivalent of about three grams of cinnamon) for four months had significantly lower glucose levels than those who didn’t sample the spicy extract. Pepper flakes, cayenne and paprika not only add pizzazz to plain dishes, they’re also a handy source of healing and pain relief. Capsaicin, the chemical that gives peppers their kick, fights pain by blocking pain signals to the brain. (The hotter the pepper, the more pain-fighting bang for your buck.) Capsaicin is often used as a cream or lotion to relieve neuralgia (pain that originates in nerves near the skin surface). A study in the journal Annals of Allergy, Asthma & Immunology found that capsaicin in nasal spray form reduces migraine pain and also helps fight cold symptoms. And although spicy food is often blamed for stomach upset, eating capsaicin actually promotes digestive health by reducing stomach acid and relieving bloating and nausea. Ginger – studies show that ginger relieves symptons of morning sickness, a condition that affects as many as 85% of women in their first trimester. Lavender – There’s a reason this fragrant plant is so often used in soaps and lotions – studies show its subtle scent soothes anxiety and mental stress. Mint – Don’t deny yourself an after-dinner-mint – peppermint has proven to be an effective treatment for bloating, gas, diarrhea, and even the pain associated with irritable bowel syndrome. Rosemary – This flavourful herb is high in antioxidants and studies show it may help relieve symptoms of indigestion. Saffron – Tame monthly miseries with a daily saffron capsule – studies show saffron may provide fast relief from PMS symtons. Whenever traveling to a new place I always look for the markets to see the variety of foodstuff they offer and what kind of handiwork they produce. 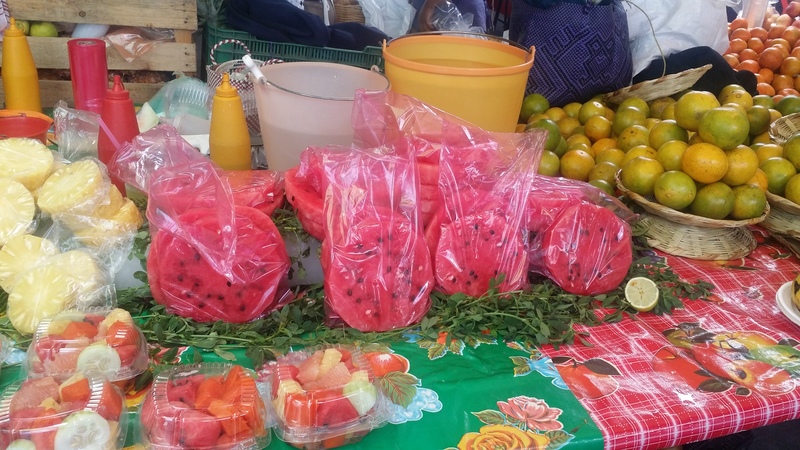 As you can see from these photos there was no shortage of either in Oaxaca. 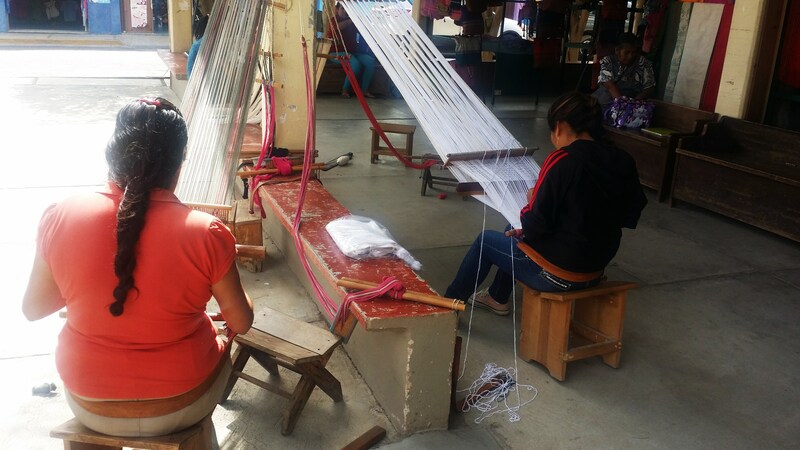 Making the Zapotec Rug is a long process. 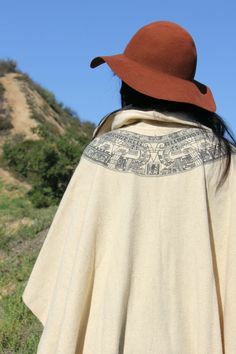 On one trip to Arizona I came home with six Zapotec rugs not realizing that I would be in the birthplace of the Zapotec here in Oaxaca. 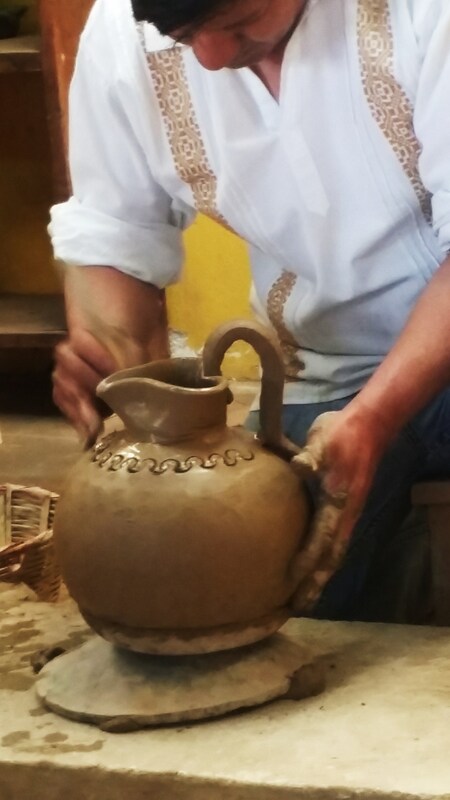 Making black pottery at San Bartolo Coyotepec. To produce these lovely vases among various other things. You cannot carry these on board. To produce these beautiful shawls and runners. 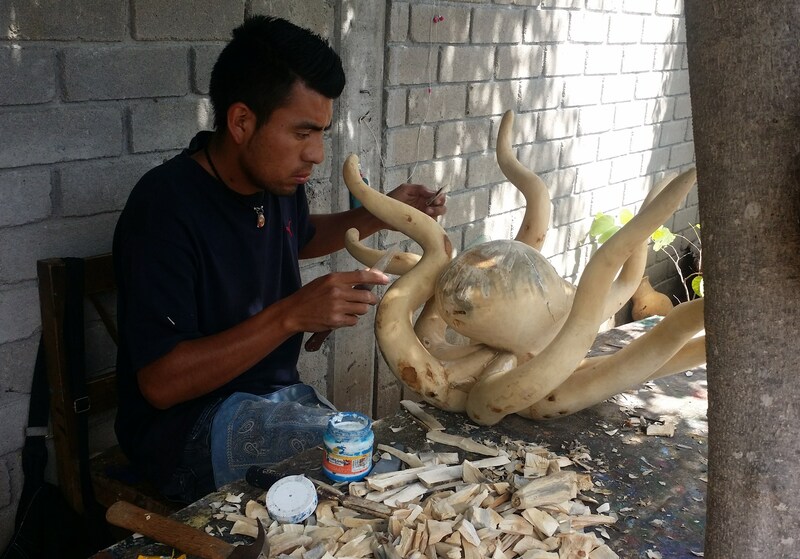 The making of Alebrijes (hand made wooden figues) in Arrazola. One example of a finished Alebrije. style – Cape Town, any town. We can all use a good cover up. 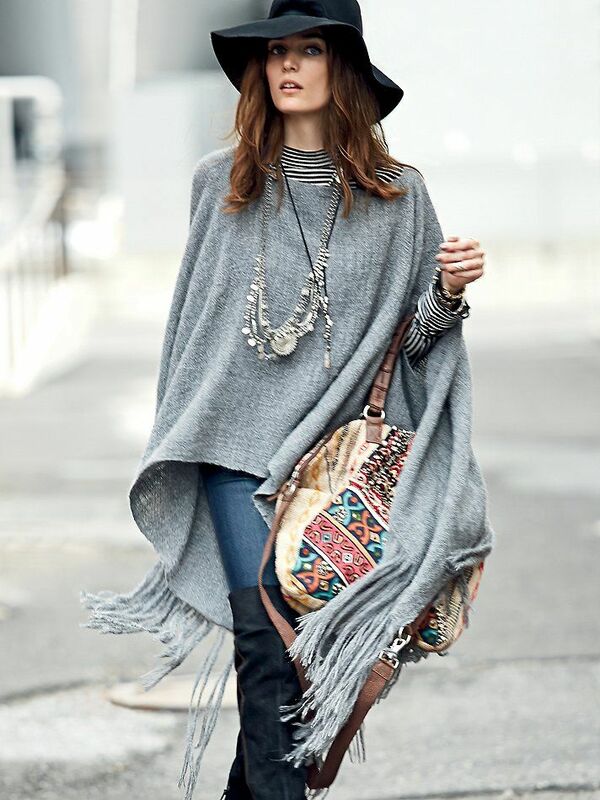 There’s something chic about wearing a cape. At this time of year it’s not a constant but for in between the wet and very cold weather for those “off days” you can certainly pull it off (or on). I think it’s a must in a woman’s wardrobe. On the Autumn/Winter 2014 catwalk scene capes were coveted in a big way – check the Burberry (think trench and blanket style), Saint Laurent (tartan button-down) and Valentino (embroidered, shin-length) shows for a heads up on how to wear yours. Shown here are some of my favourite caped crusaders. And as a serious style maven, it’s no surprise that Sarah Jessica Parker got her hands on one of Burberry’s much sought after monogrammed capes. SJP (with her twin daughters) wears Burberry. Mole, mole mole…(mole-ay) is one of my favourite Mexican dishes not only because it is rich and flavourful but because one of the ingredients is chocolate. 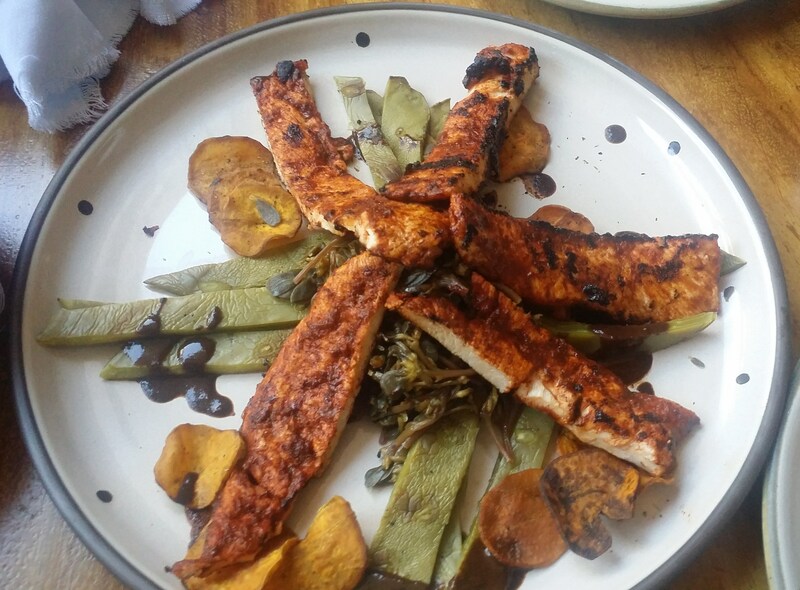 Chicken breast marinated with purslane, cactus and sweet potato chips with black mole. 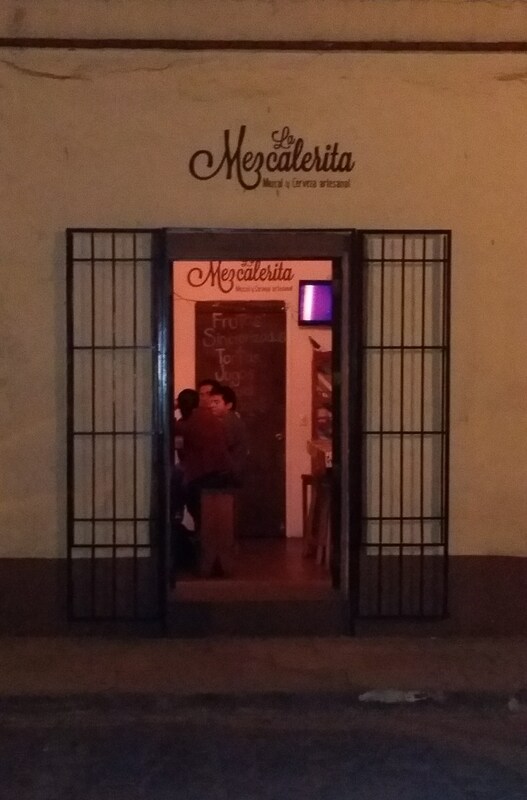 El Restaurante Catedral. 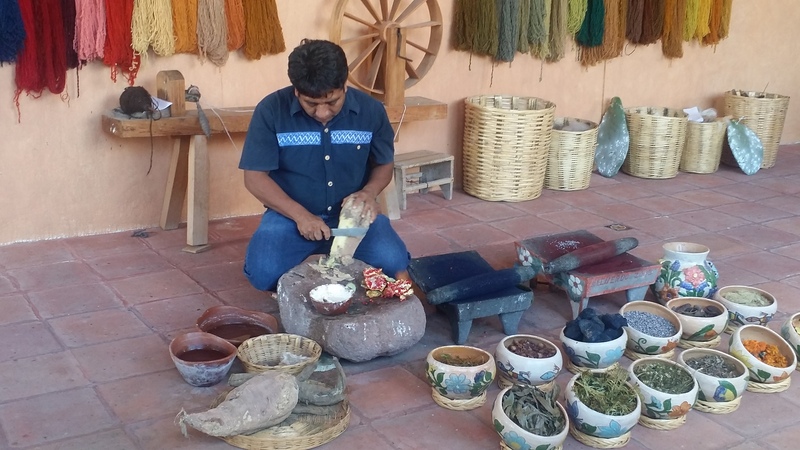 These intricate sauces, made by toasting and grinding spices, seeds, and chiles, are truly the hallmark of the Oaxaca region and in fact was invented there. 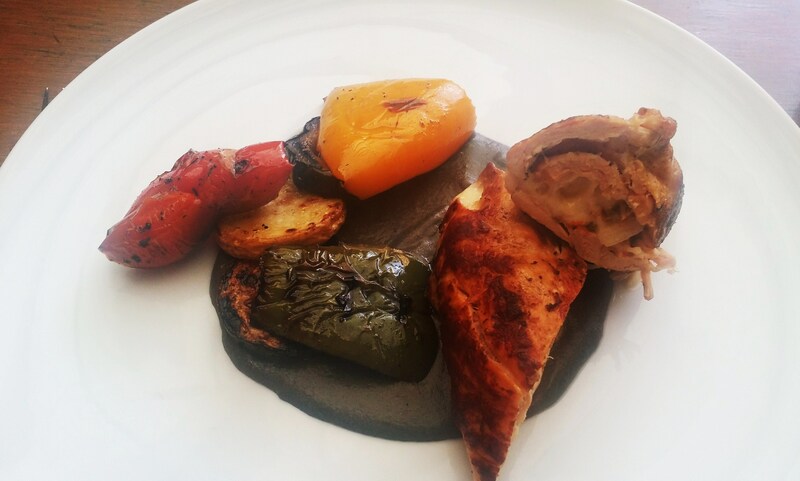 The wide variety of “mole” in Oaxaca is enough to satisfy the most demanding palates. 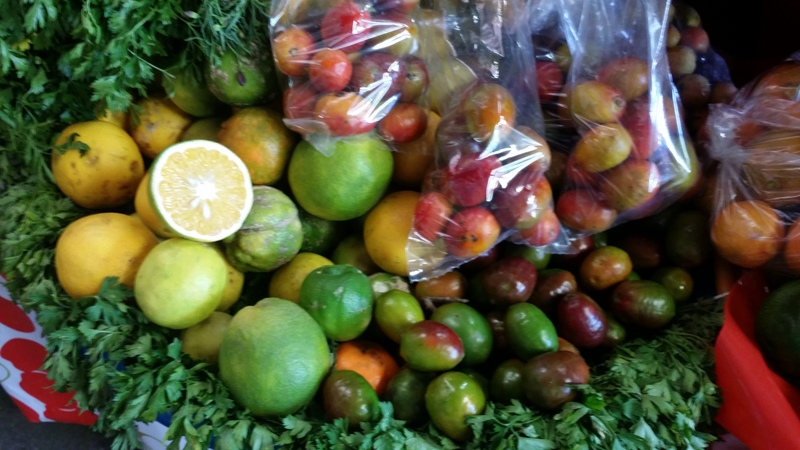 The different types you won’t find anywhere else – they include black, red, yellow, green, “coloradito,” “chichilo,” and mole with almonds. 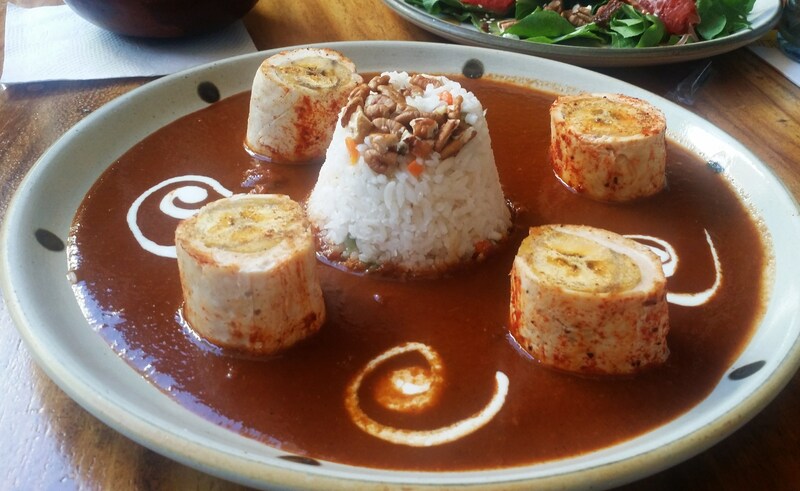 This is chicken wrapped in rice and red mole. If you’re craving a burrito you’ll have to go elsewhere. If you’re a cheese lover you might miss certain varieties like sharp cheddar, creamy brie or blue but they have a cheese, known as “quesillo,” which whether alone, in quesadillas, or with snacks, is a Oaxacan specialty that you should certainly try. Grasshoppers are another typical dish of Oaxaca. 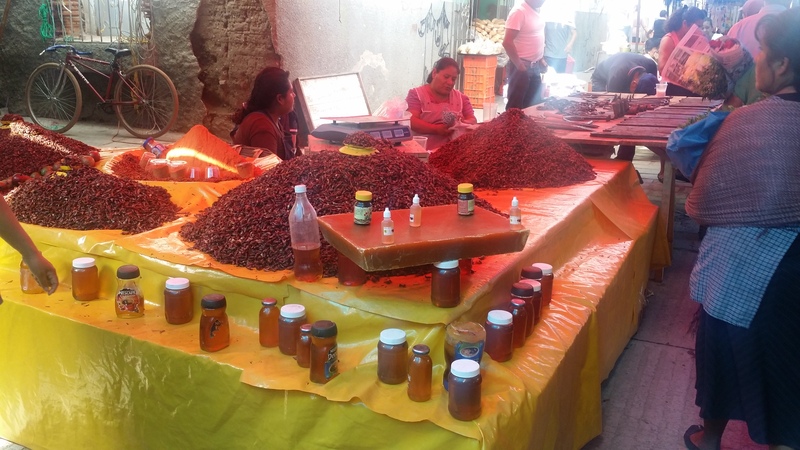 Chapulines at the Benito Juárez Market – can be sweetened up with honey. 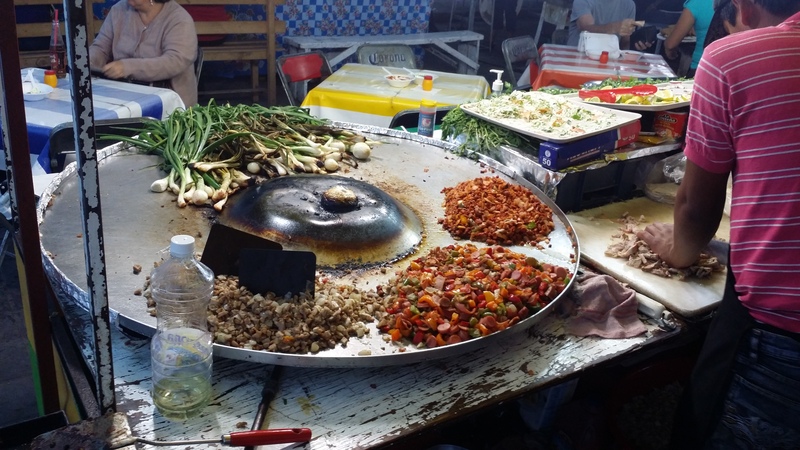 You can find them everywhere – even the top hotels and restaurants (so be aware the Spanish name is “Chapulines” otherwise you might think you’re getting some exotic sounding beef because when it’s covered in mole you can’t really tell). These delicious (so they say) fried insects are eaten in tacos, and the tradition says that whoever eats grasshoppers, will return to Oaxaca. Oh, oh…I didn’t know about this before now. Where are the little buggers when you need them? I don’t remember the last time I saw a grasshopper here in Vancouver – I think they all mistakenly moved to Mexico for the warmer weather. 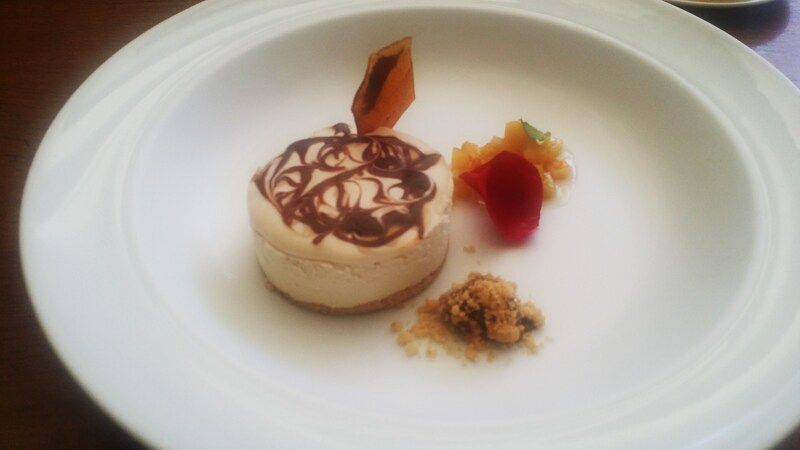 After that a taste of something sweet. 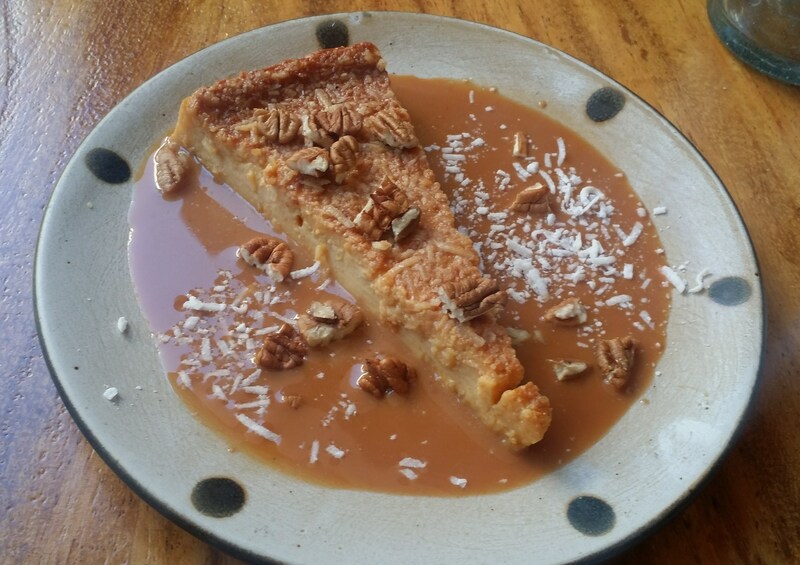 The “best” coconut flan with dulce de leche & soaked in mexcal. Topped with pecans. Zandunga. Other typical dishes from Oaxaca are “Tamales” stuffed with “mole,” poblano chili strips, or beans, and wrapped in banana leaves. “Tlayudas” (tla-u-da) are another appetizer that you can find almost anywhere. I shared one in a market which was topped with delicious Mexican chorizo (a cut above – with less grease or fat), avocado, tomato, beans & cheese and it tasted great on a crunchy tostada. Other traditional dishes are the beef called “tasajo,” jerky, and “chiles rellenos” or stuffed chile. 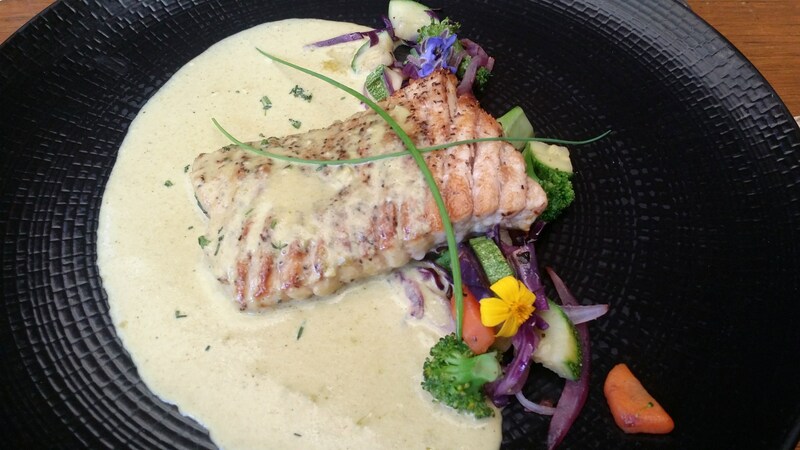 Fantastic Chilean salmon at “El Quinque” – a great little restaurant. 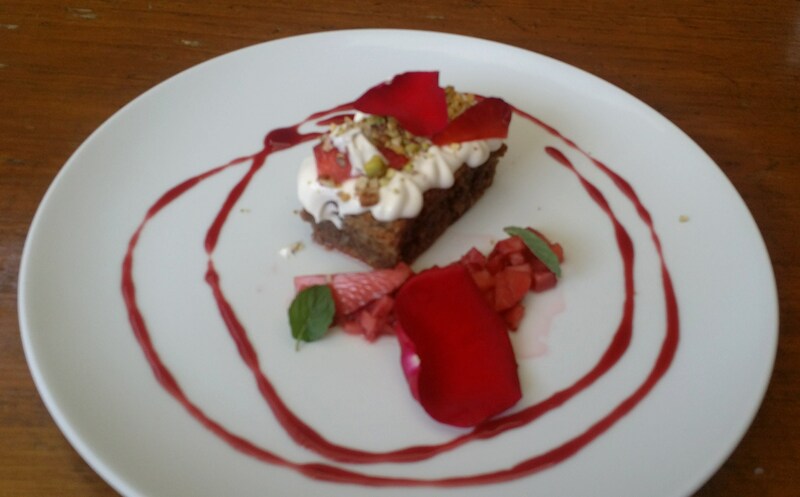 In short, everything we ordered tasted superb and the care of presentation was impressive. Of course getting a tumbler of mexcal before your meal ensures everything will taste good. 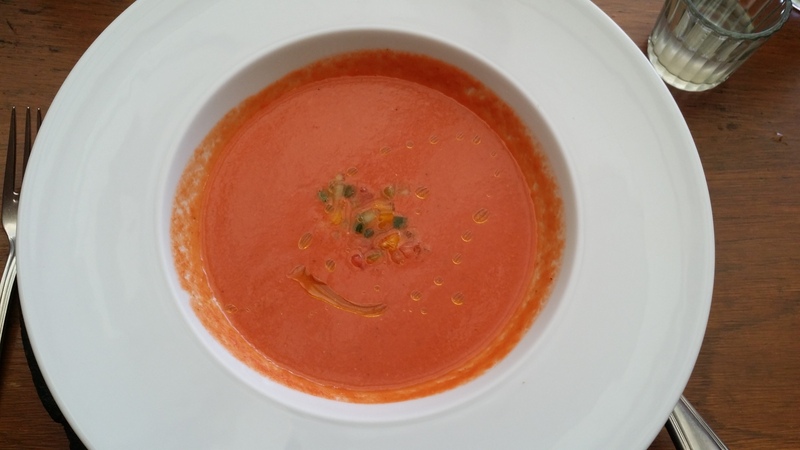 A starter of gazpacho at “Les Danzantes” for the pre-fixe lunch. Excellent! But honestly, I have nothing but rave reviews for the culinary skills of Oaxaca. Squash blossom flower sauce anyone? During ten days my friend Judy introduced me to some of the finest places to eat so if you plan to go just let me know and I’ll be happy to recommend a few places to drink spots. Next week I will post an authentic red mole recipe but I’ll forewarn you that it is time consuming and maybe 1% of you will actually make it. 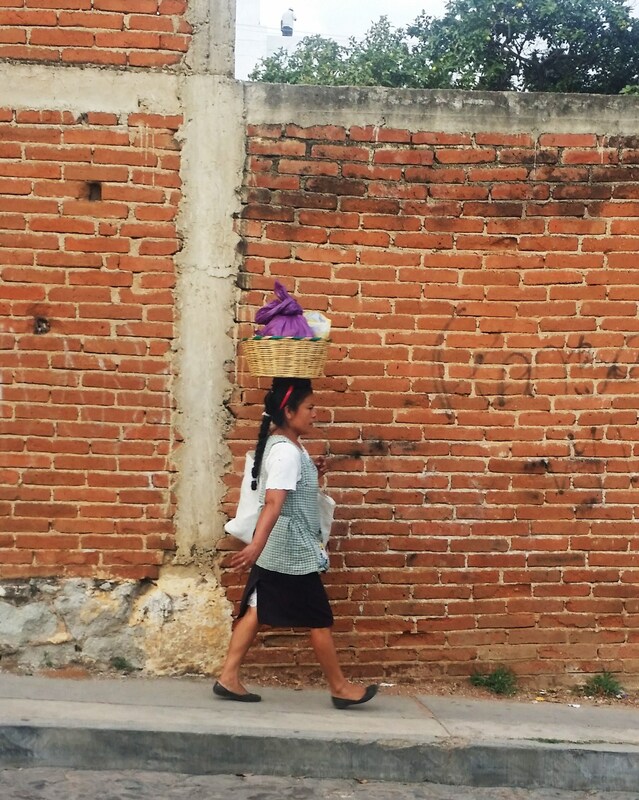 It is however less expensive than travelling all the way to Oaxaca. Mexico has always been good to me. 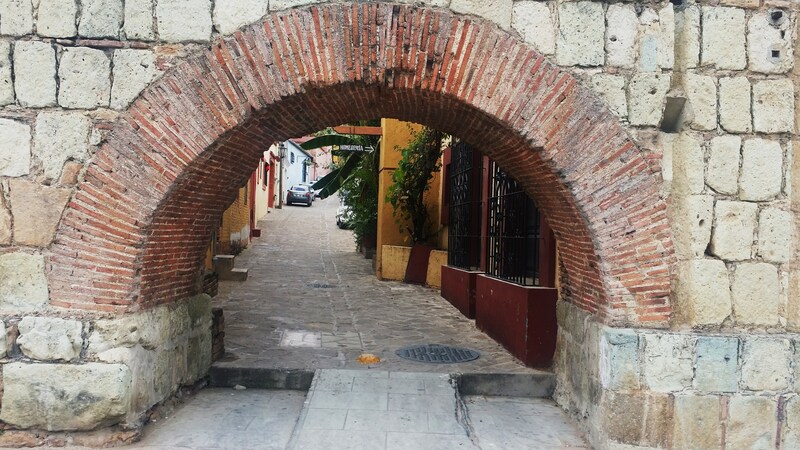 I’ve visited a variety of places from bustling and busy Tijuana to what used to be known as the sleepy fishing village of Barra de Navidad to the resort towns of Cancun & Playa del Carmen. I worked at one of the Club Meds in Mexico years ago. Never had a bad time or gotten sick. 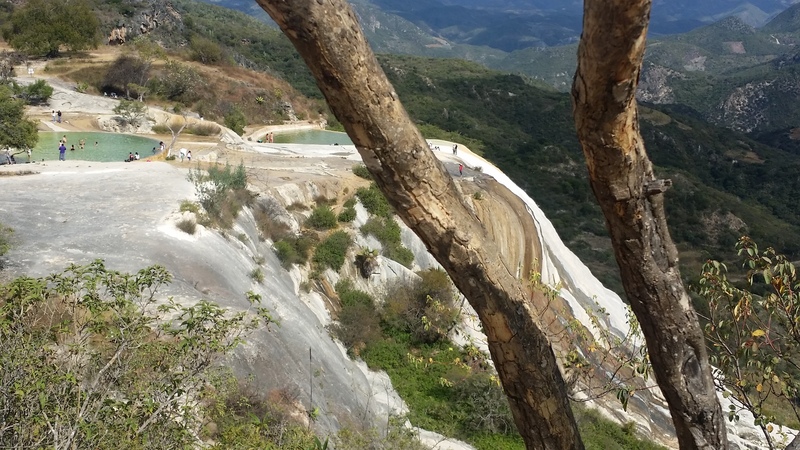 Last week I returned from spending ten days in what is considered to be “the most diverse” state in all of Mexico. 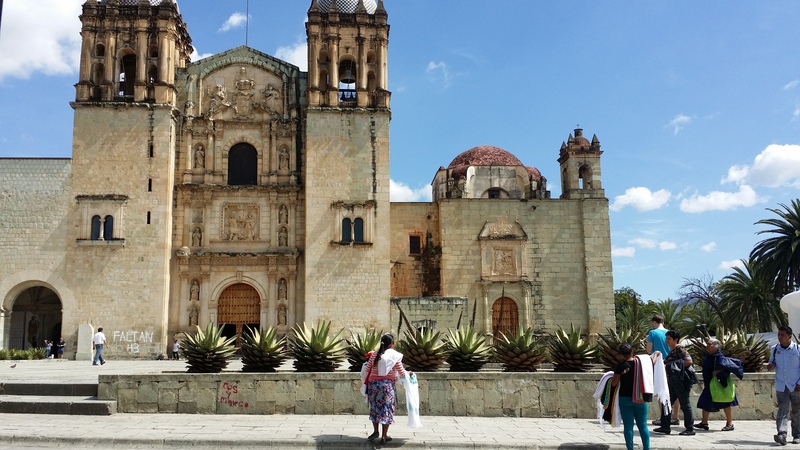 Ten days in vibrant Oaxaca (pronounced wah-hah-ka) is definitely not enough time, but it is just enough time to know that I want to go back. It was wonderful. A friend was house sitting another friends spectacular house high up on a hill with a 180 degree view and invited me to stay. At the time she told me about it I was considering going to Las Vegas to run a half marathon along the strip at night while listening to rock bands (for something different) but I made the wiser choice. 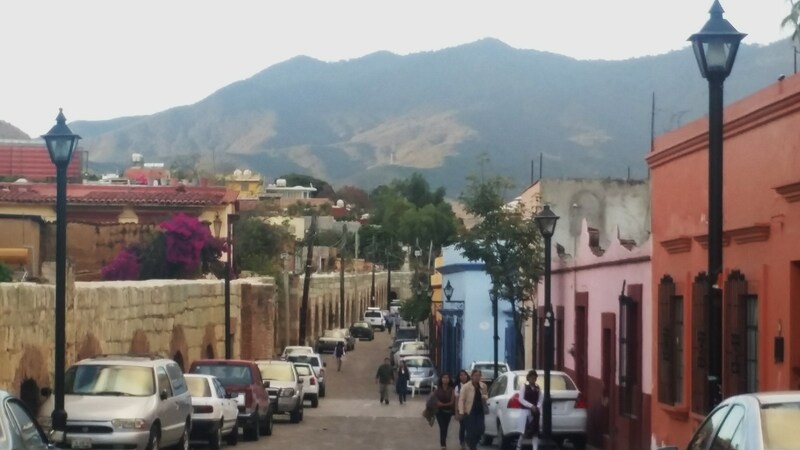 Before I came to Oaxaca (a UNESCO world heritage site) I thought I knew everything a lot about Mexico. I was expecting to hear mariachis everywhere and get a plate of chips & salsa delivered to our table as soon as we sat down at any restaurant. Not so…although you can. Instead we listened to a combination of Cuban, Jazz, Salsa, Argentine Tango, Classical and a 12-piece brass orchestra visiting from Belgium which took place in the dazzling Macedonio Alcala theatre – all gratis. Every night there is something different to take in and lots of puppetry, fireworks and dancing. 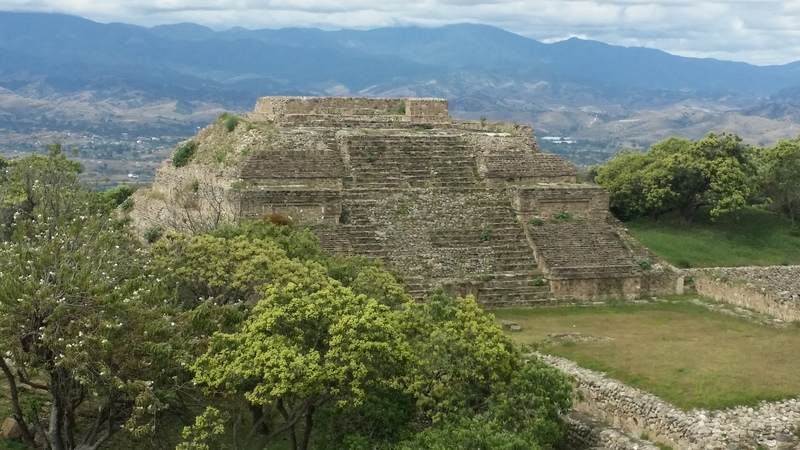 Monte Albán, built by the Zapotecs, is one of the country’s most important ruins. 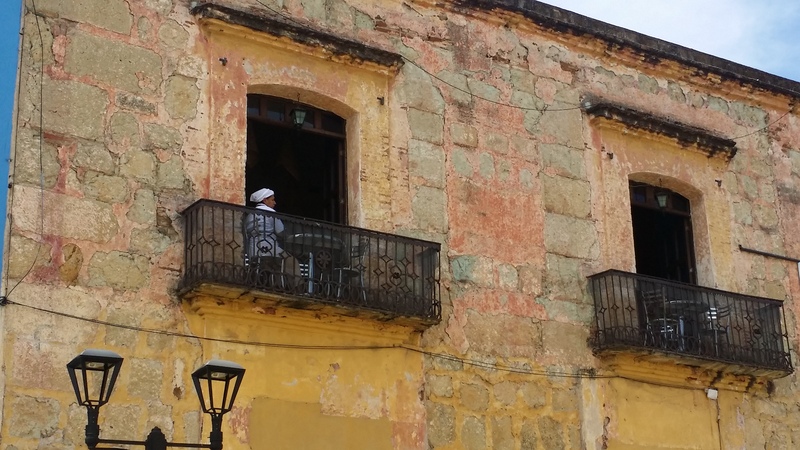 So much activity goes on in the town centre amidst local artisans selling their wares, craft shops and street markets. All the cuisine we had was unbelievably top-notch. I heard this to be true but had to find out for myself. The only thing I did not sample were the worms and grasshoppers that are considered delicacies there (I’ll leave that for the locals and was not so brave even to try the crunchy ones). I might need a whole bottle of Mexcal before doing so. The inspiring rock formations of a petrified waterfall at Hierve el Aqua. which is made from dozens of types of agave (unlike tequila, which is made exclusively from blue agave). Another thing is that you don’t want to have too much of that. Don’t ask me how I know that…somebody told me. I think it can make you hallucinate. So I don’t know everything about Mexico but I’m willing to learn. This is a place I’d like to further explore with a side trip to Huatulco. 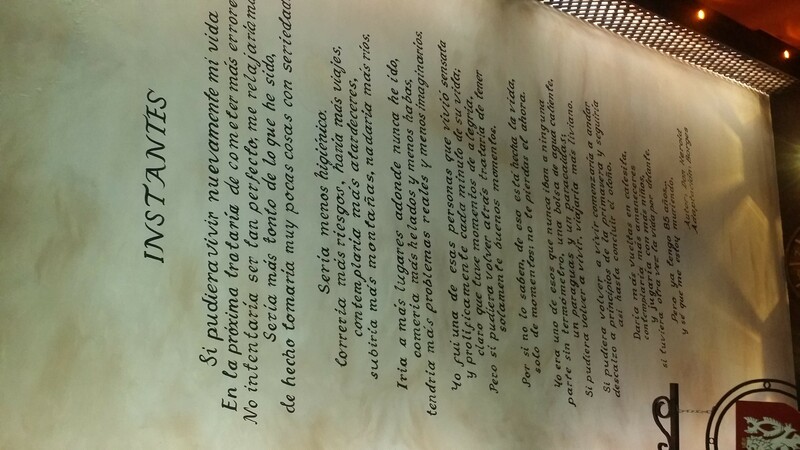 Not to mention brush up on my Español . 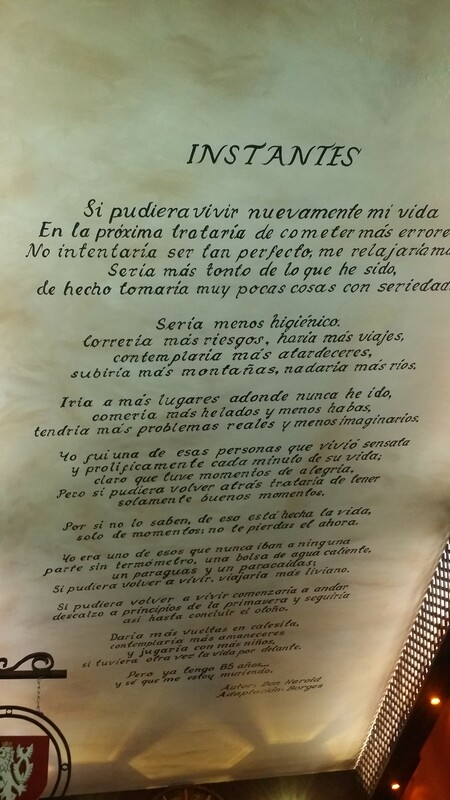 Hasta la próxima vez! 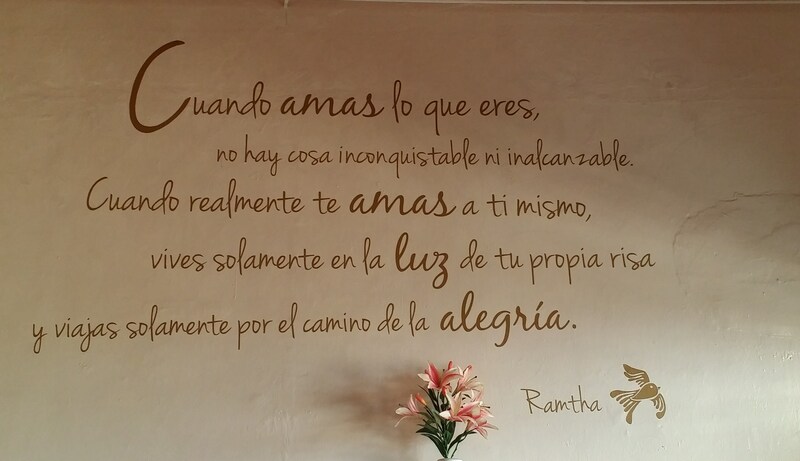 This is written on the wall of a shop in Oaxaca, Mexico. 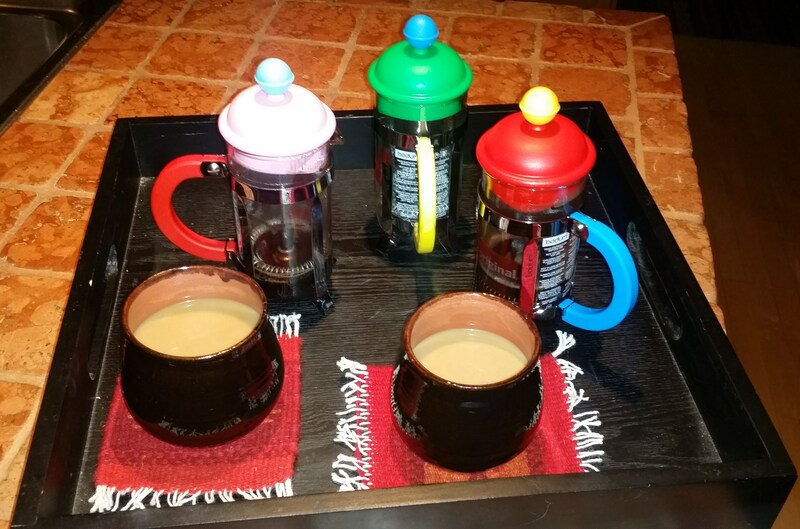 in ice cream coloured cafetieres. 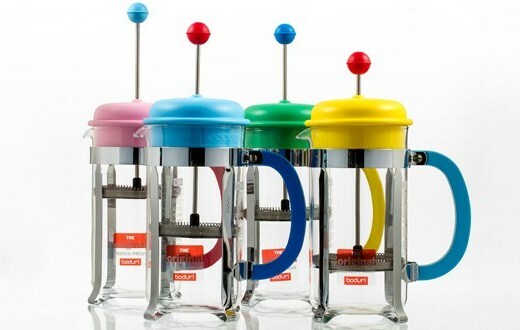 To celebrate 70 years of innovative kitchenware Bodum (the maker of the iconic French press) have re-launched some of their classic and our favourite items in fresh fun colours. Makes you think of spring/summer but that’s just fine at this time of the year. It makes the start to my day that much merrier. 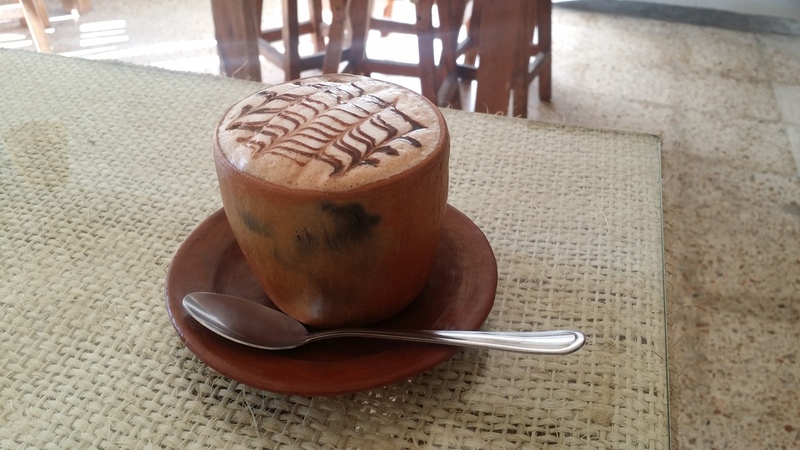 I had the perfect cup of moka just days ago at Café Arábigo in Oaxaca, Mexico. 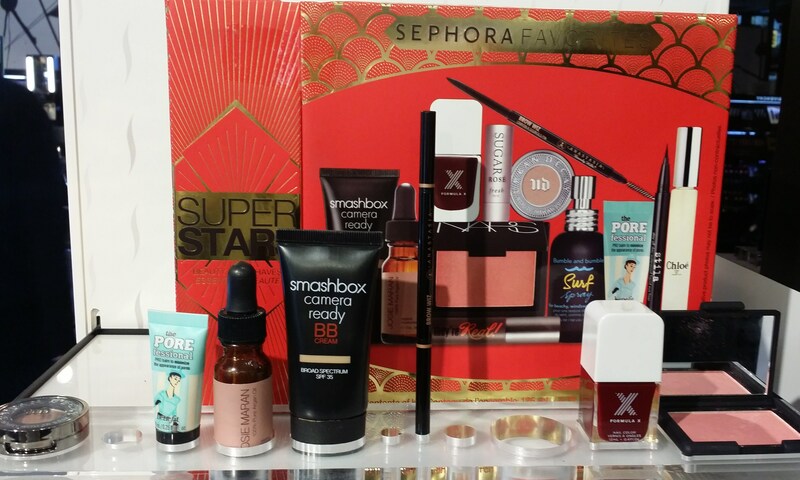 Every year Sephora puts out the ultimate beauty boxed gift sets (even if the gift is meant for ourselves) so we can sample the best of the best. 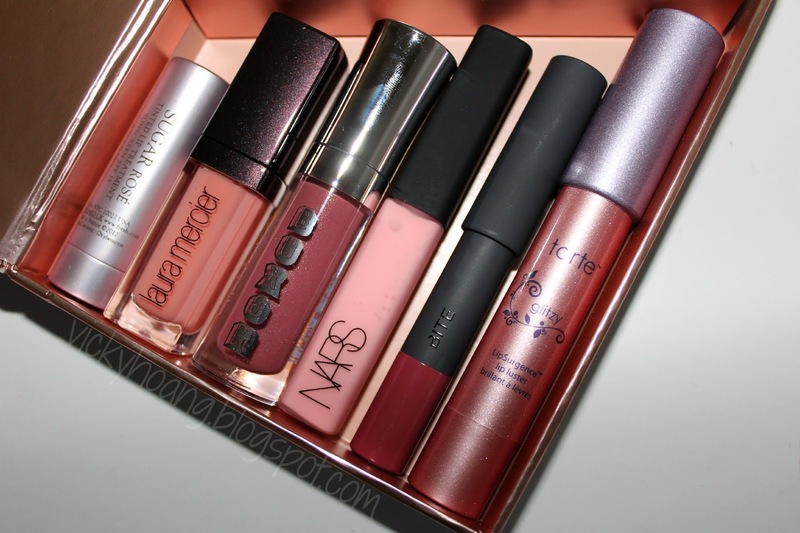 This year I was eyeing “gimme more lip” when I realized that I already have almost half the box in my beauty cabinet at home. Which means it’s a pretty useful and gorgeous set. 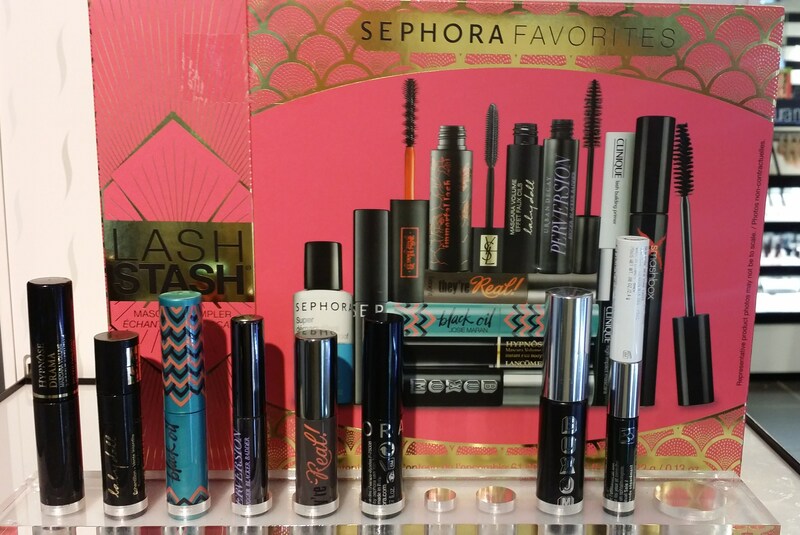 It’s kind of like the makeup version of the Japanese boxed lunch where you want to sample a little bit of everything because you are so hungry for it all. So, which one of these appeals to you the most?